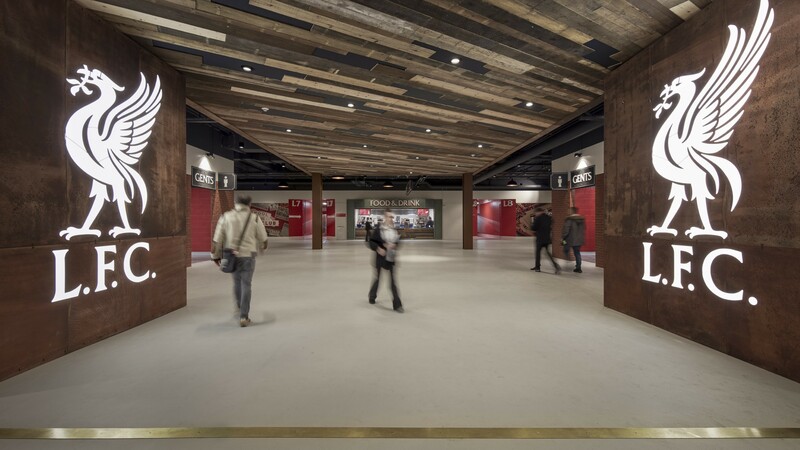 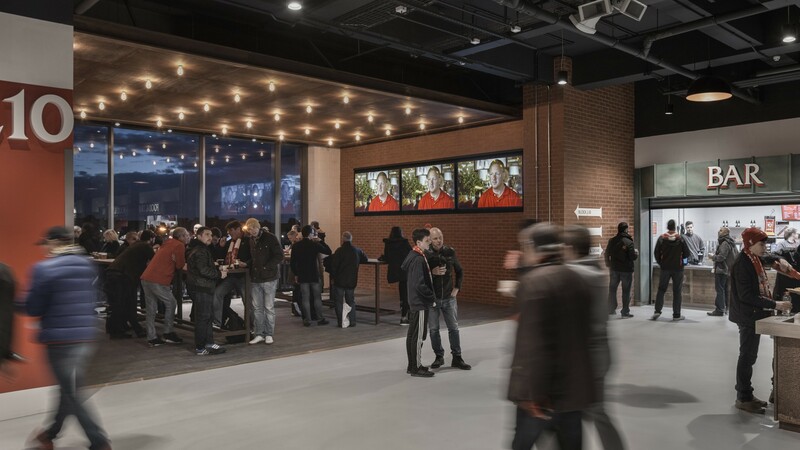 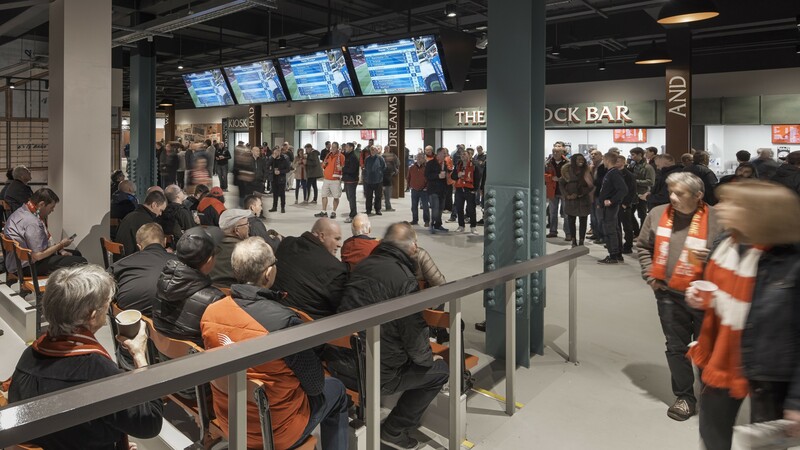 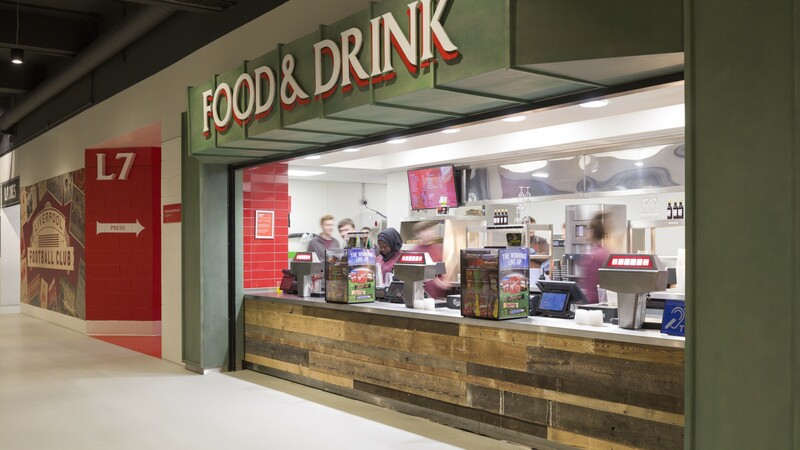 Gariff’s involvement with the new stand at Anfield was split into two phases involving concourse areas, executive hospitality suites & The Carlsberg Dugout sports bar. 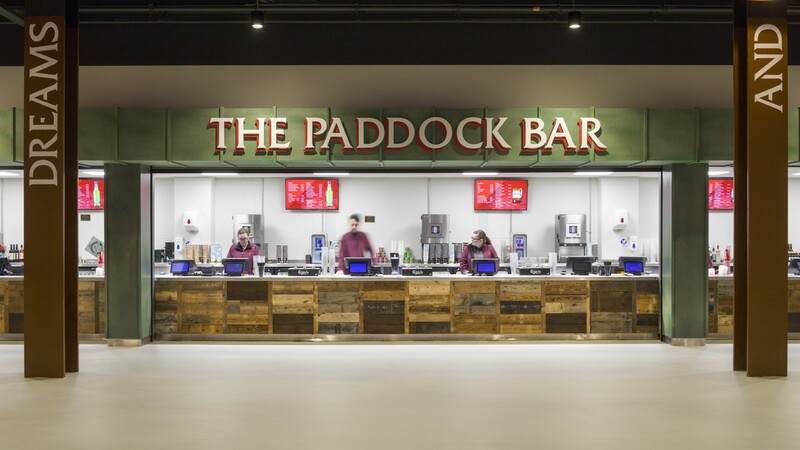 Works to the concourse areas involved the manufacture of food kiosk stands and bars featuring copper effect or reclaimed timber façades. 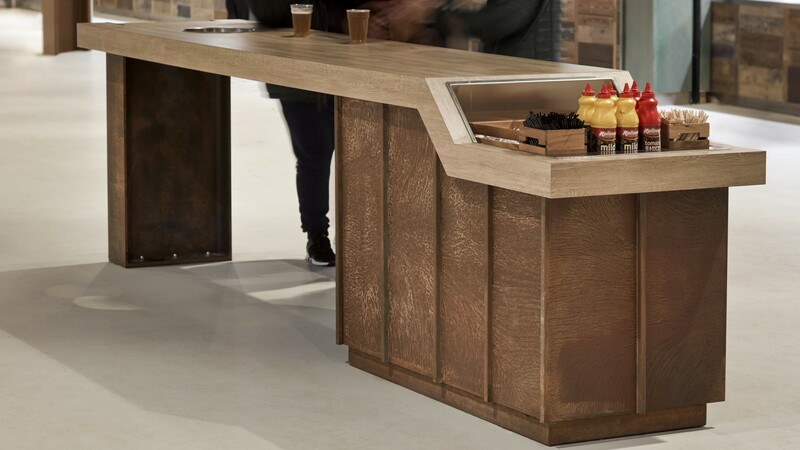 Freestanding condiment counters were also custom-made in our manufacturing facility using a mixture of oak veneer and steel. 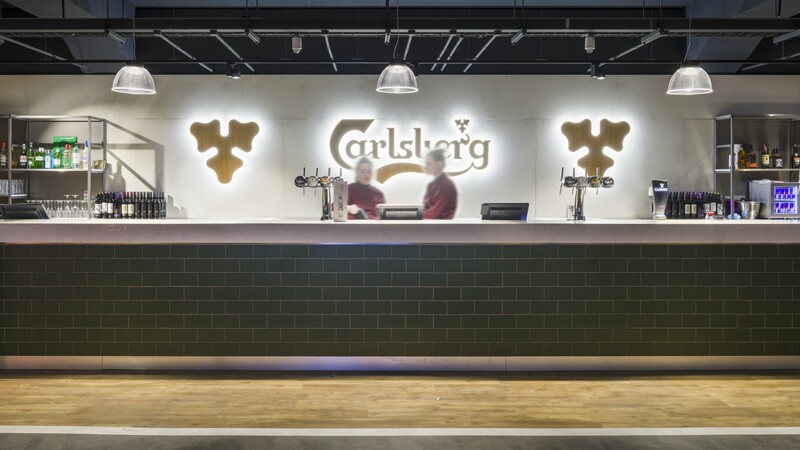 In addition, several suspended feature ceiling rafts with in-built lighting were constructed and installed on site. 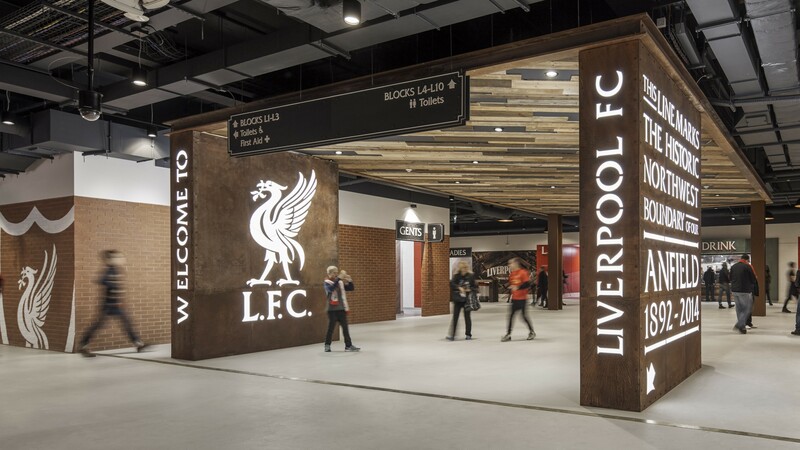 The striking Liver Bird branding walls were fabricated using laser cut steel sheet material before LED back lighting was added.